Cabinet door handles can easily be neglected when designing your kitchen. Of course, you’ll pick handles that appeal to your taste, but are you aware of the number of possibilities available to you? There are so many shapes, colours, materials that exist! However, recessed pull though handles that deliver a clean look will still continue to top the charts for a contemporary uncluttered feel. Without much thought, we use our kitchen sink daily – not noticing that it can be quite an interesting design element for the kitchen. We’ve seen many trends come our way, from white ceramic to stainless steel sinks. These are still quite popular, but some designers have decided to kick it up a notch and create embossed sinks, some with metallic accents, and others of colour to complement the kitchen furnishing. Some designers have even gone above and beyond by optimizing the sinks’ functions. They’ve taken everything into consideration: removable cutting boards, integrated coasters and pot holders, ice buckets, and the list goes on! These sinks are ideal for those trying to save space in their smaller sized kitchen. 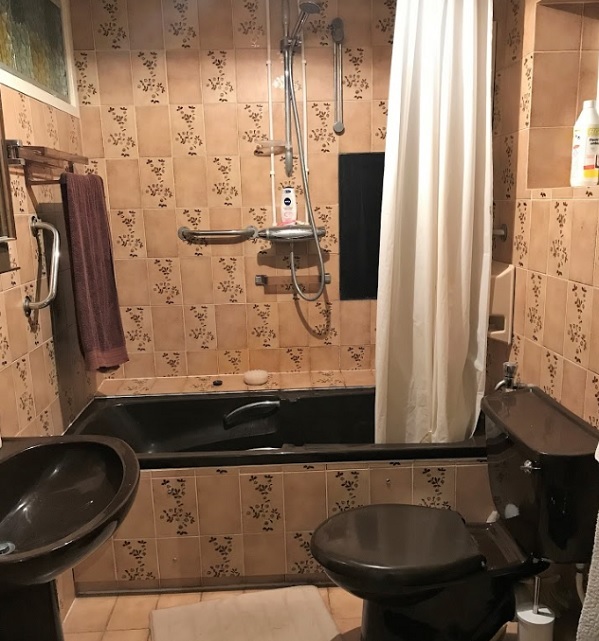 Why not make the most of the space you have!? Although recessed lights have been a staple in kitchen trends for at least the last decade and are likely here to stay, the re-introduction of suspended lighting caught on for those looking to add a unique touch to their kitchen design. The suspended wiring, which may remind you of a swinging incandescent bulb with a pull chain, allows your unique pendant bulb enclosures to become a centrepiece of the room – adding a form of expression and individuality. When used over a table area or breakfast bar lighting can add a dramatic focal point whilst illuminating an important area. After having chosen your cabinets, worktops, wall, and splashback colours, most people are opting for a metallic accent colour. Golden or copper tones are a kitchen trend that continues to thrive however use these metallic accents for small fixtures, such as taps, cabinet handles which can then be changed in years to come. On pointe for 2019 will be to mix and match for example black, pewter copper and brass which will give a striking organic look which will add a classy vibe to your kitchen. These finishes also create a vintage, upper-class ambiance to the room – without having to necessarily break the bank! Although not so practical for cooking aficionados food splashing is way too hard to avoid ,it will remain quite popular – even for 2019 kitchen trends. However now with an added pop of colour – move away from the more monotonous & monochrome scheme of an all-white kitchen and think outside the box , features which can be changed when wanted can be accent walls, accessories, splashbacks, tiles , the possibilities are endless! But, which colour should you choose? Pantone has already announced which colours will most likely be dominating interior design in 2019. One of the predicted colour palettes is called Cravings – which “draws inspiration from the plate” , as aptly described by Apartment Therapy. One can’t help but think of the fire-like tones spices have, or rich creamy colours. Otherwise, darker green tones – such as olive tones – and dark blues are also omnipresent in today’s kitchen decors. In regard to tiling, metro tiles remain quite popular. These tiles are used in many decors – whether your kitchen has more of a vintage vibe or a more of a modern one. Opposite to metro style tiles, you can also go for highly patterned tiles. Don’t go overboard with these, though, just use them to create a focal point or for an accent piece in your kitchen – such as the splashback behind the hob or as a feature somewhere. It’s time to get comfortable! As nearly all our designs now feature some sort of island/ breakfast bar area , the beloved bar stool has been nudged out of the way for something more enveloping. Armchairs in luxe leather and soft upholstery are bringing an extra layer of sophistication to breakfast nooks and islands. So that’s our predictions for 2019 in a nutshell, however, a kitchen is such a personal space we would always recommend that clients do not follow ‘ trends’ as such but instead work with us to create a fabulous design that you will be happy to live with for many years to come! 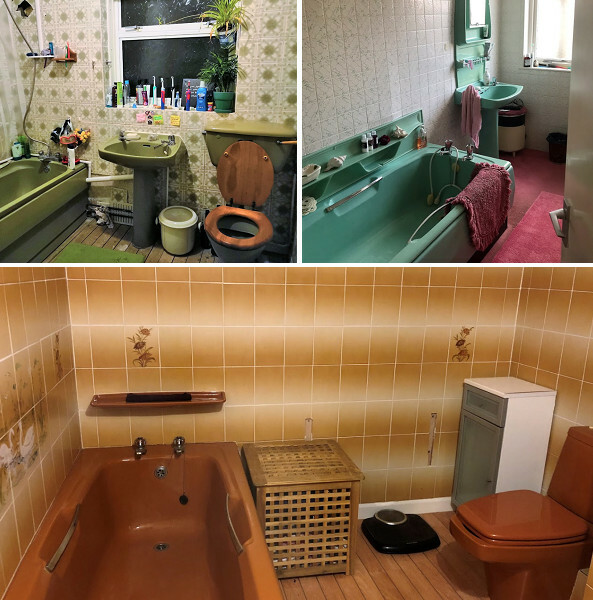 Do you have the ‘Ugliest bathroom in England’?